The internationally acclaimed composer and conductor Richard Blackford was the first Director of Music at The Royal Ballet School, during which time he conducted in a Gala for Ninette de Valois at the Royal Opera House. His many credits include productions at the Royal National Theatre, Bruno Philharmonic (where he was Composer/Conductor-In-Residence), Cheltenham Festival, BBC and Classic FM broadcasts, and his work has been recorded on the Decca, Warner, Sony and Nimbus labels. Anne was born in Normandie, France. She began piano lessons at the age of three. She then went on to study at the Conservatoire Superieur de Paris with Pierre Reach (a pupil of the great Artur Rubinstein) and Alberto Neuman (a rare student of Arturo Benedetti Michelangeli). At the age of just eleven, she was invited to perform in concert at the Festival International d’Annecy, and a year later at the Festival International de Montdauphin. Anne then moved to the UK to further her education at the Royal Academy of Music in London with Hamish Milne. She also studied composition with Ruth Byrchmore, chamber music with Michael Dussek, and jazz with Dominic Alldis. She then undertook a Masters in Composition at Kings College, London. During her academic years, Anne took part in many masterclasses, including those run by Pierre-Laurent Aimard, Roger Muraro, Miriam Solovieff, Andrei Diev, John O’Connor and Rolf Hind. 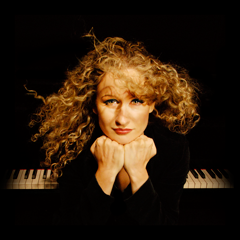 Since graduating, Anne has performed throughout Europe, in countries including Portugal, Norway, Italy, England, and France, as well as in Brazil. She has represented France and the UK in official engagements in both concerts and masterclasses. She has been broadcast on ITV, the German station ZDF, the radio station France Musique (Radio France group), French national TV network, France 3, and the European network, Mezzo. Anne leads collaborative work with artists from various avenues, from acting to dance companies. This includes an instrumental project with producer and programmer, James Sanger, well known for his million selling work with Dido, Keane, U2 and The Cure. Anne’s deeply personal debut album Beyond (and Below) which comprises her own piano works was recently released to rave reviews on Discovery Records. She has just recorded a new album engineered by multi-award winner, Mike Hatch (Grammys, BAFTAS and Gramophone Awards), which will include the first commercial release of Carl Vine’s ‘Piano Sonata’. She has also just recorded the sonatas by Franck, Faure and Poulenc for the label Champs Hill Records with Grammy Award producer Raphael Mouterde and violinist Giovanni Guzzo due to be released in January. 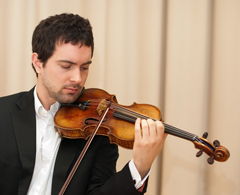 Andrew Harvey is a British violinist who enjoys a busy and varied career as a soloist, chamber and orchestral musician. He studied in London at the Royal Academy of Music, where he was awarded a master’s degree with distinction. 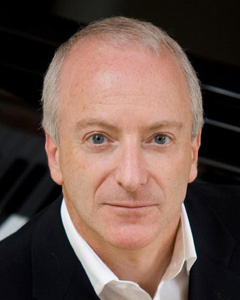 As a soloist, Andrew first appeared at the age of 12 performing Bach’s E Major Violin Concerto with the Apollo Ensemble. Most recently, he has given solo performances throughout Europe with the European Union Chamber Orchestra. Until 2013, Andrew was a member of Royal Northern Sinfonia, which regularly gives performances at the Sage Gateshead on BBC Radio 3 and Classic FM. He is now assistant leader of Royal Liverpool Philharmonic Orchestra, enjoying a busy schedule of recordings, concerts and tours. As well as his performances in Liverpool, Andrew regularly plays with English Chamber Orchestra – a recent highlight was a concert at Vienna Musikverein with violinist and conductor Julian Rachlin. Praised for its ‘refreshing approach’ and ‘exciting precision’, the Gildas Quartet is fast establishing itself as one of the most exciting young ensembles to emerge in recent years. As Park Lane Group Young Artists and winners of a Tunnell Trust Concert Award, the quartet has performed to critical acclaim across the UK and Europe, at major venues including the Purcell Room and Wigmore Hall and live on BBC Radio 3. Passionate performers of all repertoire from old to new, the quartet has recently had the privilege of working with both Colin Matthews and Sir Harrison Birtwistle on performing the composers’ most recent string quartets at London’s Southbank Centre and The Forge. The quartet performed live via video link in New York’s Carnegie Hall for the American Composers’ Orchestra, giving the world première of Ray Lustig’s ‘Latency Canons’ which received a glowing 4-star review in the New York Times. The Gildas Quartet has enjoyed a busy 2014-15 season including recitals at the Two Moors Festival, Hampton Court Palace, the Conway Hall and Purcell Room, and an extensive Scottish tour reaching from Edinburgh to Orkney. The quartet is delighted to have recently been appointed Junior Fellows at the Birmingham Conservatoire. Born and raised in Stockholm to an Indonesian father and Swedish mother, Viktor started playing the piano at the age of ten. 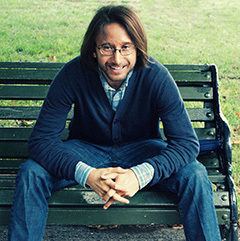 After attending one of the foremost specialist music schools in Sweden and winning prizes in several piano competitions, Viktor moved to London in 2004 to pursue studies at conservatoire level, under the tutelage of Caroline Palmer and Paul Roberts at the Guildhall School of Music & Drama. He continued his musical education with Tatiana Sarkissova at the Royal Academy of Music, from which he graduated with a Master of Arts in Piano Performance as well as the LRAM Teaching Diploma. Viktor is the recipient of scholarships from the Gålö Foundation, H.T. Cedergren Foundation, Helge Ax:son Johnson Foundation, and the Royal Academy of Music in Stockholm. He has participated in masterclasses with Kevin Kenner, Yonty Solomon, James Gibb, Pascal Devoyon, and Christian Blackshaw. In 2011, Viktor was selected by the WAM Foundation as a piano teacher at the Calcutta School of Music, India, and he is currently teaching at the Lanterns School of Performing Arts in London. Viktor’s performances include solo and chamber music concerts in the UK, Spain, India and Sweden. Apart from sharing music with others by giving piano recitals and through teaching, Viktor is passionate about cross-art collaboration. The award winning Sacconi Quartet is recognised for its unanimous and compelling ensemble, consistently communicating with a fresh and imaginative approach. Performing with style and commitment the Quartet is known throughout the world for its creativity and integrity of interpretation. 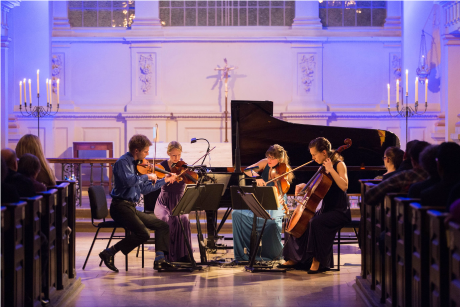 Formed in 2001, its four founder members continue to demonstrate a shared passion for string quartet repertoire, infectiously reaching out to audiences with their energy and enthusiasm. Over the past decade they have enjoyed a highly successful international career, performing regularly throughout Europe, at London’s major venues, in recordings and on radio broadcasts. 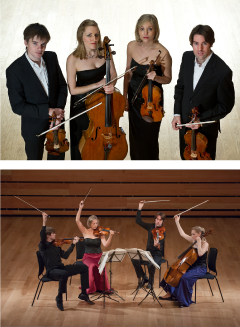 The Sacconi is Quartet in Association at the Royal College of Music. The Sacconi won First Prize at the Trondheim International String Quartet Competition and Second Prize, the Sidney Griller Award and the Esterhazy Prize at the 2006 London International String Quartet Competition. They also won the Kurtág Prize at the 2005 Bordeaux International String Quartet Competition and First Prize in the Royal Over Seas League Chamber Music Competition. In 2006 they were selected for representation by Young Concert Artists Trust (YCAT) and also nominated for a Royal Philharmonic Society Award. To date, the Quartet has given eighteen world premières and two British premières. After initial studies at Lithuania’s Academy of Music and Theatre, Justina Gringyte joined the Royal Welsh College of Music and Drama and London’s National Opera Studio. She is a former Samling Scholar and was a member of the Jette Parker Young Artists Programme in the 2011/12 and 2012/13 seasons. For the Royal Opera House, Covent Garden, her roles have included Flora (La traviata), Third Nymph (Rusalka), Maddalena (Rigoletto) in the Placido Domingo Gala, Third Innocent (Minotaur), Albina (La donna del lago), Maddalena (Il viaggio a Reims), and Suzy (La rondine).Additionally, she covered Fenena (Nabucco), Flosshilde (Rheingold/Götterdämmerung), Dorabella (Cosi fan tutte), Meg Page (Falstaff) and La Marchesa Melibea (Il viaggio a Reims). In 2013/14, Justina returns to the ROH as Flowermaiden in Parsifal and makes house debuts with ENO as Maddalena (Rigoletto) in a new production by Christopher Alden, and with WNO as Fenena (Nabucco). The production will be also be presented at the Savonlinna Festival. She will return to the ROH in 2014/15 as Maddalena (Rigoletto).